The Washington Post has posted my column for Sunday on expanding the Supreme Court. Due to space limitations, the original piece had to be cut back significantly, so below is the longer column. I will post the actual column on Sunday. It has become a common refrain: It could come down to one justice. That is the general view of the possible outcome of the health care debate this week. After a bitter 14-month fight in Congress and an unprecedented challenge by a majority of states opposed to the law, no more than five individuals are likely to decide the question for the country. The same could be true of immigration — an issue deeply dividing the nation that will have a pronounced impact on the upcoming presidential election. The same is true of free speech where the Obama Administration is seeking sweeping new authority to criminalize false statements. As citizens have gathered anxiously every Monday morning for weeks for the Court to hand down its latest pronouncement, some have questioned the hold of such a small number of unelected jurists on the nation – or, in some cases, one “swing Justice,” Anthony Kennedy. Last week, Associate Justice Ruth Bader Ginsburg fueled the anxiety of citizens in a public speech – alluding in a speech to “sharp disagreements” in the outstanding opinions while teasing that “those who know don’t talk, and those who talk don’t know.” Ginsburg’s speech felt, uncomfortably, like the oracle from Delphi informing the public of its coming fate from the circle of nine. Perhaps we should stop asking about what this Court decides and rather whether “those who know” are too few and “those who don’t” should be demanding fundamental changes of the Court itself, including its expansion. Health care and immigration are just latest cases shaping the country in an image sanctioned by the Court. This has included sweeping changes in the political process from the Bush v. Gore decision in 2000, where the court effectively chose the next president, to Citizen’s United case, where the court struck down campaign finance limits for corporations. Both decided by just five justices. To some extent, the power of the Supreme Court will always remain controversial and elitist by the mere fact that they are the final word in such legal disputes. Justice Robert Jackson wrote in 1953, “We are not final because we are infallible, but we are infallible only because we are final.” An individual’s view of the court can depend on whose ox is being gored by its decisions, including Al Gore himself. A “judicial activist” is often a jurist who doesn’t do what you want. Any Supreme Court of any size will always render decisions that are unpopular. It is supposed to. Federal judges are given life tenure to insulate them from public opinion to allow them to protect minority interests and basic liberties. However, there remains the question of how many people should it take to be the final word on such questions. Our highest court is so small that the views of individual justices have a distortive and idiosyncratic effect upon our laws – a problem that most other countries have avoided with larger courts that allow a broader range of views and experiences. Many citizens and scholars alike started looking critically at the Court’s structure after the Bush v. Gore decision – and the power that just five individuals. One of the most disturbing aspects of the case was not simply that some justices appeared to depart from prior legal views but that the court insisted that the opinion could not used as precedent as “limited to the present circumstances.” Thus, five justices did not want their reasoning used for anything other than selecting the next president of the United States. The current controversy could not come at a more symbolic moment. This year is the 75th anniversary of the famous “court packing” effort of Franklin Delano Roosevelt. As today, the country in 1937 was in the midst of an economy crisis and Roosevelt was saddled with four conservative justices – known as “the Four Horsemen” – who opposed his New Deal legislation. Three justices were predictably liberal (called “Three Musketeers” at the time), but not enough to carry the day against the Four Horsemen and the Associate Justice Owen Roberts, who was often a swing vote on New Deal legislation. Roosevelt decided to introduce a bill to allow him to appoint up to six additional justices on the Court. 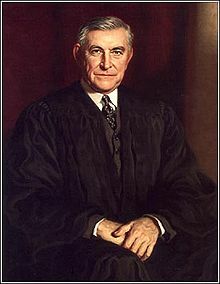 The crisis was averted when Roberts voted to support a critical New Deal case and “Horseman” Justice Willis Van Devanter retired – the famous “The switch in time that saved nine” moment for the Court. However, Roosevelt may have had the right idea for the wrong reason. The deep respect for the court as an institution often blinds us to its flaws. The greatest of those flaws is that the court is demonstrably too small. Nine is actually one of the worst numbers that you could pick – and it’s certainly not what the founders chose. The Constitution itself does not specify the number of justices and that number has actually fluctuated through the years. The nine-member Court is a product not of some profound debate or study, but pure happenstance. The first Supreme Court had an even more ill-conceived number of members: six. In fact, when the court first convened in 1790 in New York at the Royal Exchange Building, only two of six justices were present (fortunately, it had no cases on its docket). After that time, the size of the court expanded and shrank – largely with the number of federal circuits. Since justices once “rode circuit” and actually sat as judges in lower courts, Congress would add a justice when it added a circuit – or reduce the Court with the elimination of a circuit. Thus, when a 10th circuit was added in 1863, a 10th justice was added at the same time. In 1869, the court happened to have nine members for the nine circuits. That is how we ended up with this size of a Court. Justices detested riding circuit and eventually convinced Congress to end the practice. The court remained at nine members despite the fact that most federal courts of appeal now have as many as 29 judges. Ever since the Court rested at nine members, we have repeatedly had problems of 5-4 splits with one or two swing justices dictating the outcome of cases. With the increasing longevity of justices, such divisions have become stagnant and bitter. Before Kennedy, Justice Sandra Day O’Connor was the swing justice and, for years, shaped the law according to her often changing views on subjects ranging for the death penalty to privacy. Some proposed reforms seek to break the hold of justices by rotating these positions among federal judges while other reforms seek mandatory retirement dates. I believe many of the problems of the Court come comes to its size: it is dysfunctionally too small. While the best number is debatable, I believe a 19-member court would be ideal — roughly the average size of a Circuit court. Appellate circuits are often divided between liberal and conservative judges. Yet, it is rare that one or two of those judges are consistently the swing votes on all issues when they sit “en banc” or as a whole. While appellate court generally sit in three judge panels, they sit as an en banc court in cases of great significance — the highest level of appeal short of the Supreme Court itself. In such cases, they function well as a whole and show greater diversity of opinion and experience. More importantly, the power of the judges themselves is diluted by the number. Experience has shown that a 19 member court is small enough to be manageable and would not present a significant burden in terms of confirmations. Regardless of its conclusion on the optimal size of the Court, this is a discussion that is long-over due. It is not enough to simply retort “why not 29 or 99?” One could just as easily ask “why not 3 or 6?” The point is that we trying to decide on the best size for the court and should be able to discuss it civilly and objectively. Just because we settled on 9 arbitrarily does not mean that any number is as good as any other. A 19-member court has been shown to work where a large court would be unwieldy. Experience both domestically and internationally would suggest that 9 is quite small for a court with such final and sweeping authority. A review of other nations reveals far greater diffusion of power. While other countries will rotate cases among panels of justices, high courts tend to be larger: Germany (16), Japan (15), United Kingdom (12), India (31), Israel (15). Some use far greater numbers of justices who are divided among different divisions like the 74 jurists in the Spanish high court or the 124 judges and deputy judges in France. Again, while these systems have important structural differences, they do not have the concentration of power that characterizes the U.S. Supreme Court. Both the recent polls and proposed reforms reflect a common concern that nine people should not yield such concentrated and stagnated power. Moreover, even if we were to accept an elite court of just nine, these would not be the nine that most legal experts would choose. While clearly intelligent people, most justices are selected for their confirmability — a process that tends to favor formula nominees with a narrow range of experience and a short paper trail. The irony is that, because there are so few positions, confirmation fights have become increasingly bitter and presidents have become increasingly risk-adverse. The result is that nominees are selected because they have never said or written anything remotely provocative or even interesting. Many are selected precisely because they are unknowns at the time — Sandra Day O’Connor, David Souter, Clarence Thomas, and most recently Elena Kagan. While clearly intelligent people, few of the current justices were viewed as intellectual leaders or even top standouts in their field before their nominations. Bypassing clear leaders in courts, bar and academia, modern nominees are selected as a type of judicial blind date. The chances that we could have a Louis Brandeis or Joseph Story on the Court in the current system are at best accidental. If Congress ordered the proposed expansion, we’d get to a bench of 19 gradually with no president allowed to appoint more than two new justices in a term. Once fully staffed, the Court would have a more regular turnover. This would allow a broader range of diversity on the Court and more consistent opportunity for each president to add members to the Court. It would also decrease the importance of the individual justices – potentially allowing nominees with a broader spectrum of experience and ideas in shaping doctrines on free speech, privacy, and other issues. The expansion of the Court might also allow Congress to force justices to return to the worthwhile practice of sitting on lower courts for periods of time. One of the greatest complaints heard from lawyers and judges alike is that justices are out-of-touch with the reality of legal practice and judging. A 19-member court would allow two members to sit on an appellate court each year by designation – actually forced to apply the rulings that the Court sends down to lower courts. Every five years, justices would be expected to sit as trial or appellate judges. 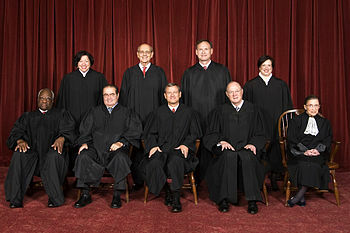 The remaining 17 justices would sit each year to rule on cases. The benefits of expansion could be magnified further by two smaller reforms. First, Congress should mandate that the Code of Judicial Ethics apply to the justices as it does lower judges. Currently basic rules and procedures for judicial misconduct do not apply to the justices, who sit as their own judges. The court has proven itself to be a poor guardian of its own ethical and professional standards. Second, Congress should immediately require that all hearings before the court be televised. Just this week, Senators called for the health care decision to be televised – a request previously denied by the Court. The Framers were modern men who loved technology and would have been enthralled by a technology that would allow all Americans to watch the court – rather than a handful willing to stand outside of the court for hours or even days for one of the few seats. Citizens should be able to listen to the arguments and make their own judgments on the merits of these cases rather than have such arguments filtered through the often imperfect third-hand accounts of broadcasters and bloggers. It is not surprising that some members have threatened to resign if cameras are allowed in the Court. There is sense of entitlement that comes from the cloistered and insulated culture of the Court. There can also be a more self-serving motivation. Cameras would not only allow the public to see the Court in operation but would allow the public to see justices who have diminished capabilities. We have had a remarkably long line of justices who were had obvious disabilities from drug addition to insanity to senility. However, they have been able to continue on the Court without public outcry due to the Court’s self-imposed insularity and opacity. Some justices like William Douglas and Thurgood Marshall resigned after televised appearances showed greatly reduced cognitive or speech ability. There is a tendency to treat institutions like the Supreme Court as inviolate and no doubt the proposal to expand the Court will be viewed as virtual heresy. However, the Framers not only gave us a brilliant system of government, but the ability to improve it to better meet contemporary demands. The respect that most of us hold for the Court should motivate us, not deter us, from reforming it. Just as Jeremy Bentham once called for the “greatest good for the greatest number,” sometimes the greatest good can be found in the greater number. When it comes to the Supreme Court, that number may be 19. Jonathan Turley is the Shapiro Professor of Public Interest Law at George Washington University where he teaches a course on the Supreme Court. Merci bien pour le profesionnalisme que vous nous montrez. Parfaitement ce dont j’ai besoin. Au plaisir de continuer à vous lire. How about posting in English so we can look forward to continuing to read what you have to say. plus d’informations ici, is there more information here? The “deep respect for the institution stems in part for the suspicion that anyone fiddling with it does so because they’re unhappy with the outcomes. Of course, Mr. Turley is above such chicanery, and it’s just shameful to suggest otherwise. But perhaps he won’t be with us to judge the next moment when an adjustment seems meet. And since others are sadly less noble than Mr. Turley, and there will always be some unhappiness with the court’s tendencies, if we’re to change the number selected should be of such obvious superiority to all others that any proposal failing such clarity can be safely imputed to manipulative motives. Given that, “why not 29?” is a fine retort. Why exactly is 19 so perfect a number? Experience suggests it? Hmm, that seems somewhat less than ironclad. And, come to think of it, aren’t these objections kind of obvious? That once you’ve broken precedent, even for excellent reasons, you’ve opened the door to further change, even for bad ones? And it isn’t kind of obvious that the first suspicion of any court change would an effort to change its decisions? Shouldn’t any such proposal admit that suspicion and offer arguments so strong as to overcome it? Why yes. All of that seems quite obvious. So much so that should someone propose to increase the size of the court, without in the same breath explaining why they should be heard over against all that, or rather suggesting that their motives should simply be read as good, can be safely dismissed out of hand. Because even their motives are as good as all that, their reasoning is just lousy. Pingback: Is The Supreme Court Too Small? Danny DeVito isn’t that big. He’s trying to be. He’s smarter than you think he is. “Six of nine speak Turty Turd and a Turd. Listen to the oral arguments. Or, listen to the Justices interrupt the lawyers and then interrupt each other. That’s a RIOT! It’s also like a Danny DeVito movie without the smarts! Roosevelt tried to make make the Supreme Court bigger. Caused a bit of a donkey fight. I think it’s okay the way it is. We could have 100 SCOTUS justices and it wouldn’t matter. If 51 of them were lockstep Conservatives (which most are) then the Supreme Court would still be just as disfunctional as it is now. Modern Conservatism, completely abhorrent of compromise coupled with a “win at all cost” mentality is the roadblock to progress in America, not necessarily the number of justices. The mentality that emboldens a minority in the Senate to basically rule the Chamber through filibusters and 60 vote thresholds for even the most basic Legislation. How would one enforce the rule about any president not appointing more than two justices during one term? What if there were deaths or resignations numbering more than two? Yes, I know that’s not terribly likely, but it is not an impossible scenario. I hear these comments that attack other commentors and wonder why they cant stick to the arguments and not tirade against a Labrador trying to make a point by barking into the Dogalogue machine. That I heard this crap before guy must be from NY. What is wrong with the “picture” i.e. the photo of the present Court? Six of nine speak Turty Turd and a Turd. Listen to the oral arguments. Or, listen to the Justices interrupt the lawyers and then interrupt each other. It is like a Danny DeVito movie without the humor. I propose one justice from each Circuit. None from the DC Circuit. Retire at 90. IQ tests, senility tests, drug tests each month. Cut out the free medical care on my dime or give it to me. Impeach the ones who voted for Citzens United. Ask Scalia for his papers. Why is the number of Justices deemed to be too small? If they had to work in June, July, August and all of September they could do more cases. When they strike down ObamaCare then you will start hearing more about the injustice of Justices getting free medical care on your dime. ScaliaCare will be on bumper stickers. Citizens United ought to be on toilet paper. What is wrong with Nine? What is wrong with Nineteen? At least with Nine there is some semblance of stare decisis. The older they get the more stare they get and that is a valid critcism. One Judge from each Circuit would give regional balance. Having five from New York and seven graduates from the Ivory Tower League gives us disasters like Citizens United. The New Yorkies cannot even name the states west of the Alleganies until they get to the west coast. The present Nine are truly a shame but it is not to be cured with just more of the same. If the comments/suggestions by “BarkinDog” are “tongue in cheek”, I would have to ask what “cheek” was he using ?? I am sure that most of these ideas and suggestions might fit well at some GOTeaParty meetings, but they certainly are not RATIONAL OR REALISTIC. This kind of obtuse rational is absurd…. Maybe “BarkinDog” wants a SEPARATE Supreme Court for southern and mid-western states….that way THEIR SUPREME COURT would have the proper mix and balance to decide THEIR cases. This kind of thinking is what is wrong with America today….truly a shame. If there are 9 or 19 there will still be times when one judge decides the balance. A true reform would be to limit the number of Justices from New York, Jersey and the upper East Coast. We can hear their terrible accents in the oral arguments. Tirty turd and a turd. We need judges from the midwest, the plains states, and the south. A second reform would be to eliminate life medical care for judges. ScaliaCare as it will come to be known after the court strikes down ObamaCare. Why does the schmuck with the terrible accent get free medical care when its not good enough for joe citizen? Huh, Antonio? Antonio? Antonio? You got something there that is unjust. Ivy League doesnt cut it either. They can be dumb as toast and hail from Yale. I will take the guy from Alabama who was formerly in the Klan. If we do reform then lets have one judge from each Circuit. There has to be an odd number though to break a tie. Eliminate the DC Circuit altogether. Split it up. The President gets to annoint the DC judges with their jobs without input from the homestate Senators. Senators in the Eighth Circuit for example get to divy up the total number and a larger state might get more nominees for the party in power’s senator from Missouri, for example. Since DC does not have Senatorial influence like the other circuits, the President often elevates his own choices to the DC Circuit to the Supremes. That is how we get schmucks like Scalia. Actually there are a lot of shallow notions stated in the article. My critiques are more cogent. I think the problem begins with Tirty,Turd and a Turd. Which is how four of the present members might pronounce 33rd and a 3rd when speaking of a location in NY. End the Upper East Coast Heg. Take away their socialized medicine and nine week vacation. Keep them off television. Make them retire when they hit 90. Require monthly drug tests and senility tests. Get Ginsberg a new hairdo. Politley tell them to quit asking so many dumb questions at oral argument. Give Thomas a bonus for keeping quiet. Tell Breyer to quit talking to himself.